Hello my dear friends! 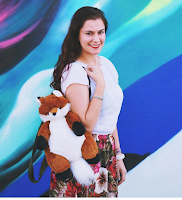 It's been a long time coming, but I'm proud to bring you a super easy DIY project. 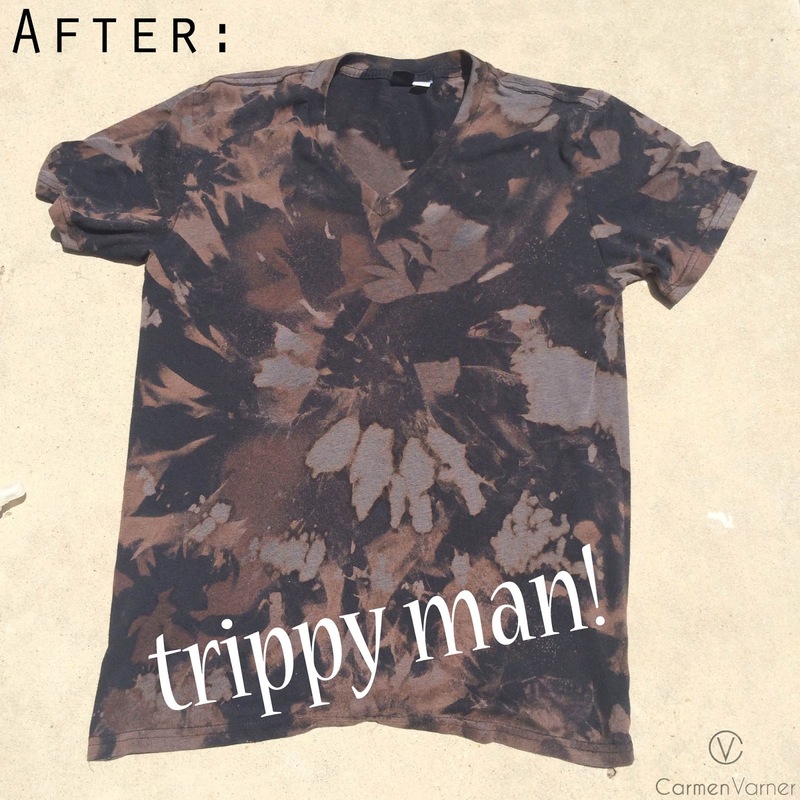 This is an easy bleach tie dye DIY project to do with any old t-shirt that leaves you uninspired. We all have some old tees that we never wear anymore. They either need to be upscaled or tossed out. This bleach tie dye DIY project only takes a few minutes & you can witness the magic as it happens. 1. Grab an old shirt that you don't care for any more. 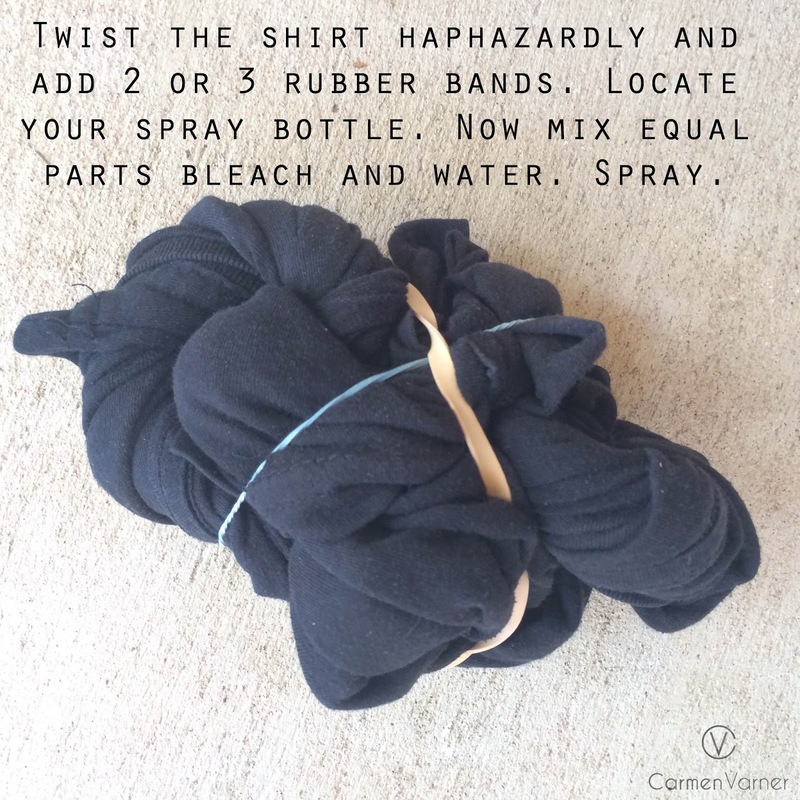 Twist the shirt haphazardly and add 2 or 3 rubber bands. Locate your spray bottle. Now mix equal parts bleach & water. For this particular bleach tie dye DIY project, my mixture amounted to about 1/4 of a cup. Make sure you go outside for this. Bleach is extremely toxic, so get a lot of fresh air! Gloves are also recommended. 2. 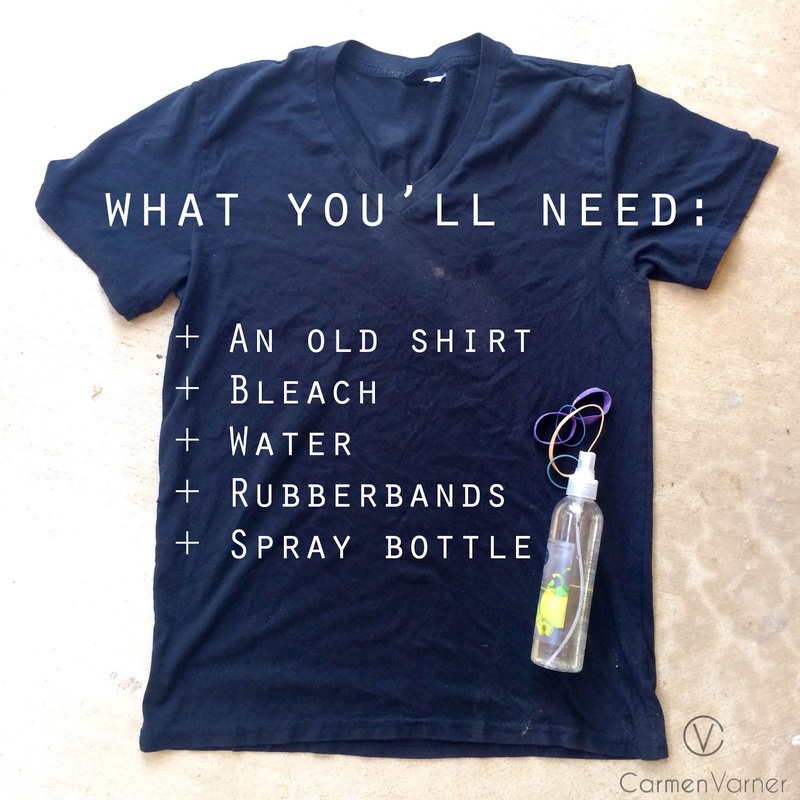 You're going to spray the bleach water mixture directly on t-shirt. The more you spray (the wetter it is) the lighter it'll get. On my shirt, the lighter sections had a considerable amount of bleach versus the reddish areas that had less bleach. I like the contrast. 3. Spray your shirt. Now take out the rubber bands & relocate them. Essentially, you're going to do steps 1 & 2 several times until you get your desired result. 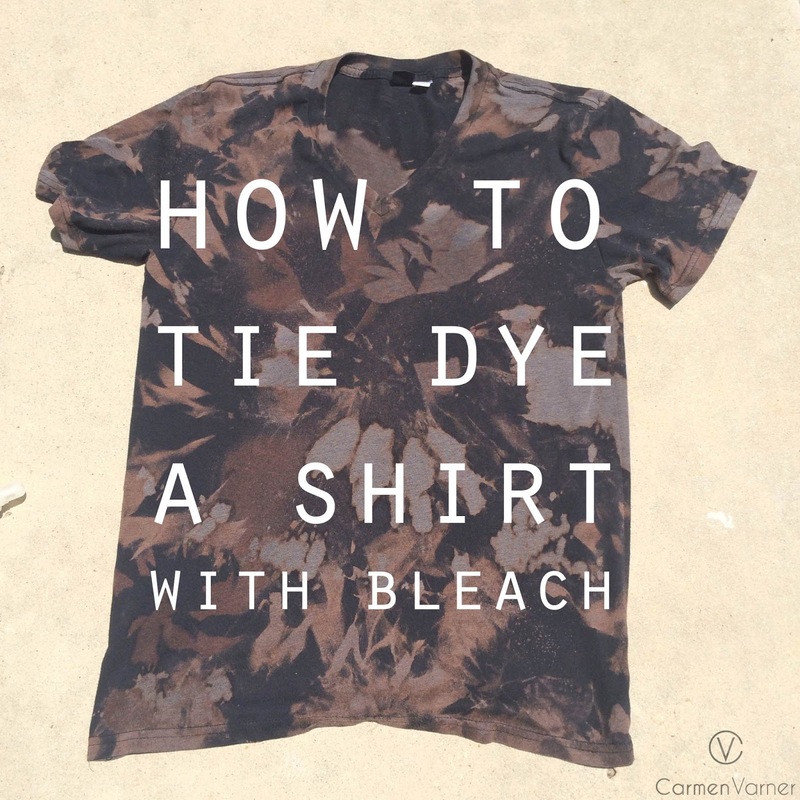 Your bleach tie dye DIY is your creation. If you only do it one time, your shirt will be mostly unbleached (& incomplete). I would've taken a photo to document the process, but my hands were bleachy so that was a no-go. Keep spraying. Take out the rubber bands & replace until you have your desired look. Ah that's so cool, a great way to fix up an old tee! If you wash it, will all of the color be bleached out? Do you need to neutralise the bleach?